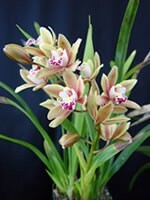 A cute yellowish-bronze, ulta-miniature Cymbidium. 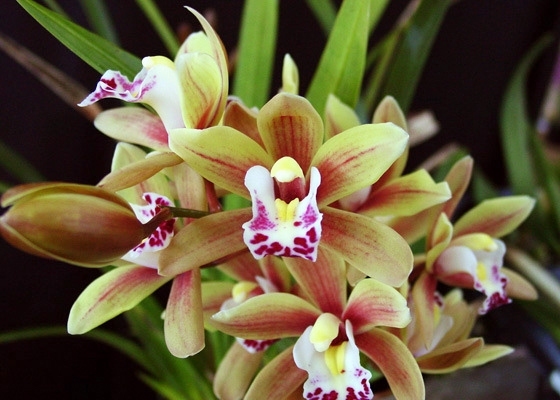 The stems bloom to be densely packed with flowers. .Cool growing. January - February blooming.